Content marketing is a large part of SEO strategy today, with over half of B2B marketers publishing either more, or significantly more content as part of their efforts compared to the past year. But managing marketing efforts can be time-consuming if you do everything manually. As it can be difficult to determine what content to publish when and where, marketers need plenty of valuable tools in their arsenal. It is even more difficult to calculate that content’s return on investment (ROI), manage the content marketing team, and curate content. Research has shown only 23% of B2C marketers claim to be successful at measuring content marketing ROI, and only 21% of B2B marketers say the same thing. It’s clear measuring ROI is a pain point for many. 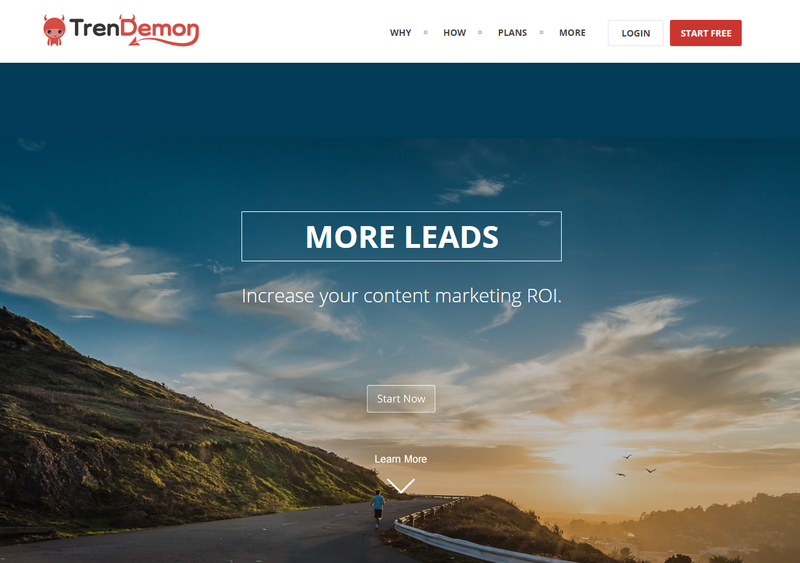 TrenDemon is the perfect tool if you’ve been struggling to quantify ROI of your content marketing efforts. The tool analyzes your content and provides real-time, personalized recommendations to help boost your conversions. This way, you’re working with the same content you’ve had on your website, but making more money from it. With the information you get from TrenDemon, you can further tailor your content marketing to ensure you’re making the most possible money from each new piece of content you create. This makes managing marketing efforts in your company a much simpler and more efficient task. In today’s telecommuting society, chances are that the people creating your content and the people marketing your content don’t work together face-to-face. While email and group chats can help with some communication issues, there are some details that are better delivered when everyone can be “together.” It can be hard to coordinate meetings when the team is spread far apart, but that’s where web conferencing software makes a difference. 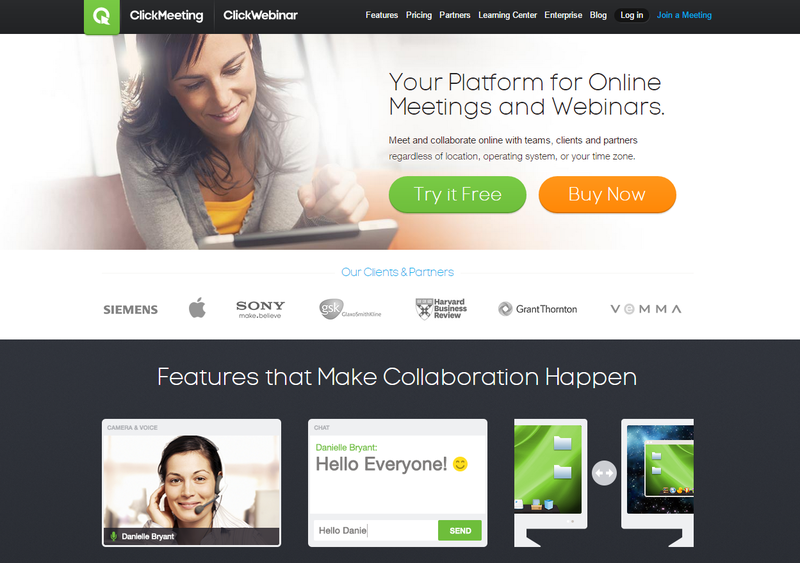 ClickMeeting offers a teleconferencing software that makes it easy to meet with your team and flesh out the next phase of your content marketing plan. Managing marketing efforts should take up the least of your time, allowing you to focus all your attention to actually producing and promoting that content. This is why software like ClickMeeting helps get everyone on the same page quickly and efficiently. Share your desktop with others to make it easier to demonstrate tasks. Save your teleconferences for later viewing, in case a team member could not attend the live event. The software is also useful for creating webinars that can be used to train team members on any company specific workflows. Since the webinars can be saved and shared later, you can create quick and easy a training library to make onboarding new team members easier. Managing your company’s editorial calendar and social media profiles can be time consuming. Putting everything in one place, where the entire team can access it, makes this process easier. Thus, managing marketing efforts becomes a common task that everyone works on. 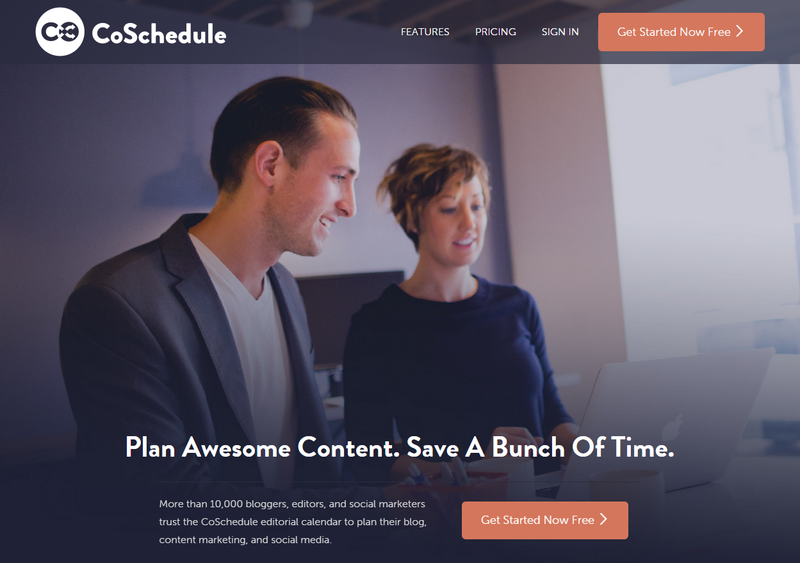 CoSchedule is a platform that allows you to work your social media activity into your editorial calendar, right within the WordPress platform. Multiple people can access the calendar if need be, and tasks can be assigned so you can easily see who is responsible for what. By managing your editorial calendar and social media posts in a single place, you save time. The tool makes it easy to re-share old posts and bring fresh traffic. It integrates with many other tools besides WordPress, tools like Google Calendar, Google Docs, Google Analytics, Buffer, and more. One of the best ways to stretch your content marketing budget is to use a portion of curated content. Curated content is content that originates with someone else. It is content you did not create, but that can still serve a purpose to your audience. Content curation can take a lot of time, but with the right tools, it doesn’t have to. 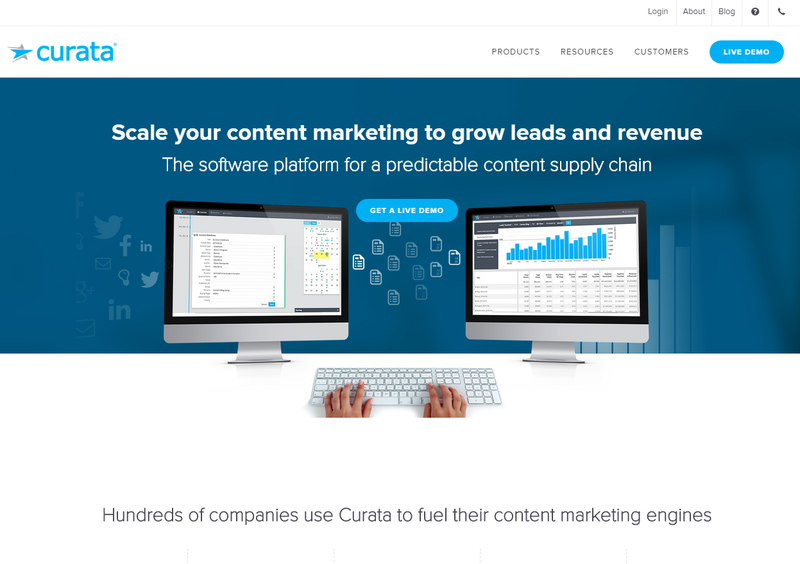 Curata offers content curation software and a content marketing platform to make your content management more efficient. It helps you cut through the “noise” on the Internet and find out what’s most likely to be relevant and interesting to your audience no matter your niche. Then, it gives you the chance to go through the list of resources, take notes and organize all so you can choose what to share, what comments to add, and where you want to share it. Curata makes it easy to take the content you find and share it across all your channels on whatever schedule you choose. It integrates with many popular content management systems, social channels, and email marketing platforms to make sharing content easy. With these tools, content marketing management becomes much simpler, and managing marketing efforts stops being so sluggish and unproductive. You’ll have everything you need to easily track and monitor ROI, communicate with the team behind content creation, curate content, and more. Lucinda, what mountains in North Carolina? I too am a Carolinian, glad to know I’m not the only one searching for the holy grail of content automation. Cheers and thanks for the great information to assist my marketing efforts.